A spectacular landscape of towering mountains, breathtaking beaches and turquoise waters, Calabria has the distinction of being known as the toe of Italy. Several conquering civilizations over the years have shaped the landscape, architecture, cuisines, and culture of Italy’s southernmost province. They left their imprints on this majestic region, which is flanked by Basilicata in the north and Mediterranean on three sides. With its 780-km coastline, this spectacular province is a region of remarkable beauty. It is interspersed with amazing mountain ranges, miles of sandy beaches, stunning headlands, and rocky coves. 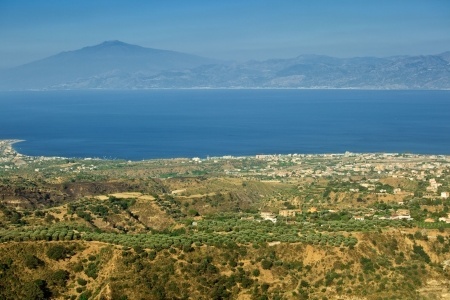 As the heart of Mezzogiorno, Calabria sits at the crossroads of the Mediterranean. Its rich legacy and long history, which is still visible in its architectural monuments, cathedrals, museums, and churches. With an apparently untouched culture, Italy’s southernmost province is a dramatic landscape. It's flooded with a varied coastline lapped by strikingly turquoise waters and tourist-free hilltop villages. Lying off the beaten track, Calabria is a mosaic of citrus groves of lemon, orange, and bergamot plantations. They offer a captivating sight of the setting sun in the cerulean blue skies. Its serene beaches are the star attractions in this Italian province, with the fragrant Riviera dei Cedri along the Tyrrhenian coast boasting a plethora of citrus trees, stand-out beaches, rugged mountains, and resort towns perched on hills. There are three impressive national parks, Pollino, Aspromonte, and Sila. They are a romantic getaway for a honeymoon couple, offering idyllic isolation on an epic scale. A peninsular colossus, Calabria is home to exclusive tourist villages and seaside resorts that are true havens of peace. The spellbinding Tropea, Pizzo, and Capo Vaticano are proud to be the most celebrated seaside resorts here, besieged at times by rugged cliffs and caves. The highly varied and extensive coastline of Calabria continues to be the pride of the region. It has a surprisingly long list of stunning villages flanking each of the three coasts. As a popular summer seaside resort, Italy’s toe hosts an array of festivals in its beautiful towns and villages that celebrate the region’s breathtaking beauty, historical legacy, and rich history. In his “Journey in Italy,” Guido Piovene described Calabria as the “strangest of the regions of Italy,” with its vast mountainous expanses and a seemingly never-ending coastline deceiving the traveler into believing that they are in some other part of Europe, where days are ruled by the passage of the sun through the clear azure skies. 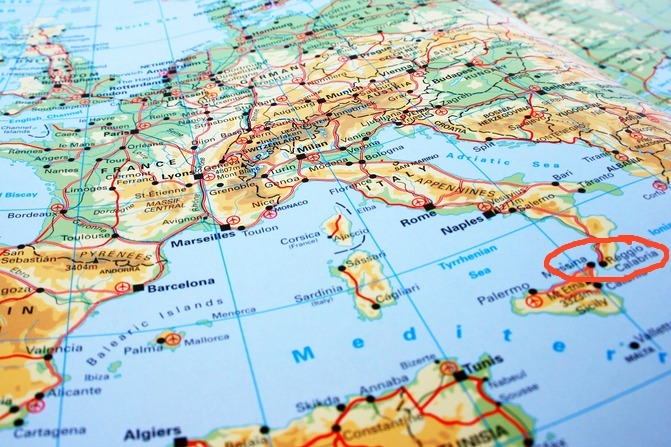 Unlike the rest of Italy, this province has escaped a lot of reckless development. This is due to its less traditional recreational coastline. Even the coastline mimics the inland of the province. Its rocky cliffs and rugged hills emerge sharply from the sea creating a majestic landscape. The region doesn’t produce wine in huge quantities, unlike the rest of wine-dominated Italy. The small batches of indigenously produced wine are exceptional in flavor and heavily influenced by the Greek influx. Despite being one of the oldest regions of the country, Calabria is still underdeveloped compared to the rest of Italy, because of its difficult navigation through the mountains. With its beautiful panorama of nature, snow tipped mountains, thick luscious forests, sapphire coastlines, and sandy beaches, the picturesque scenery of the province has started to beckon hordes of tourists.